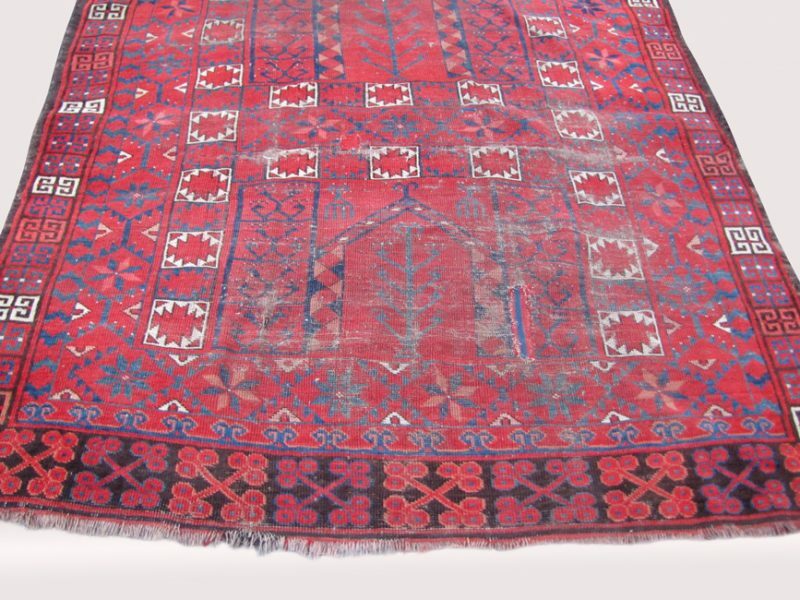 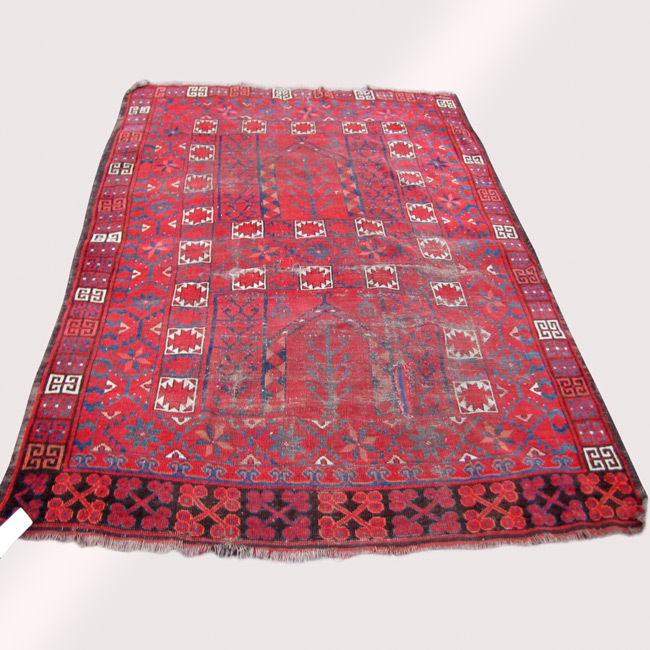 This is a Rare Antique Turkoman Oriental Prayer Rug from the early 1900’s. 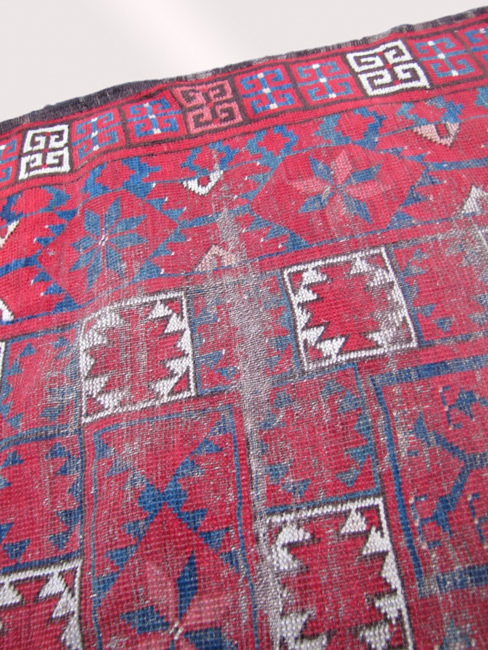 This is a rare prayer rug and most of it is in good shape. 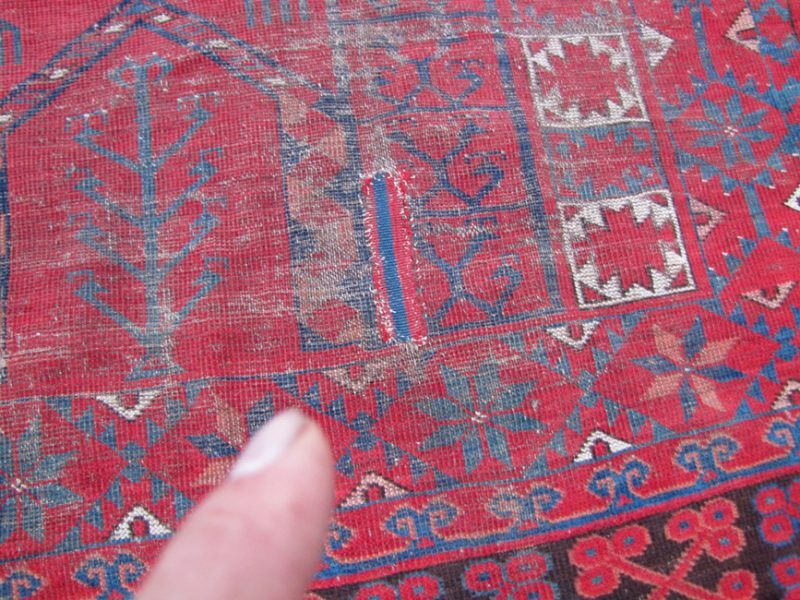 This rug does have wear on the one end (See Pictures) This rug is sold as is so make sure you take a good look at the pictures. 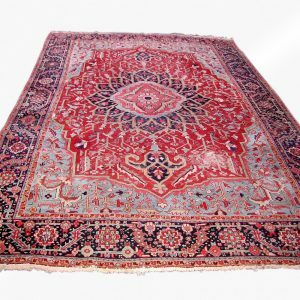 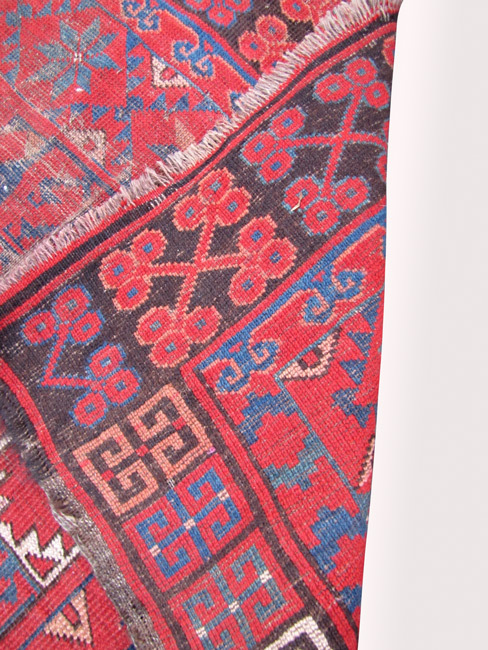 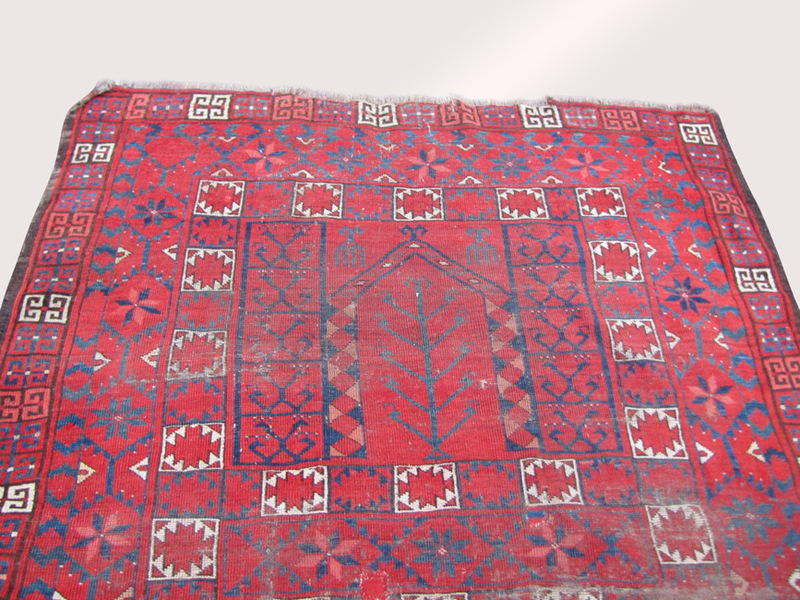 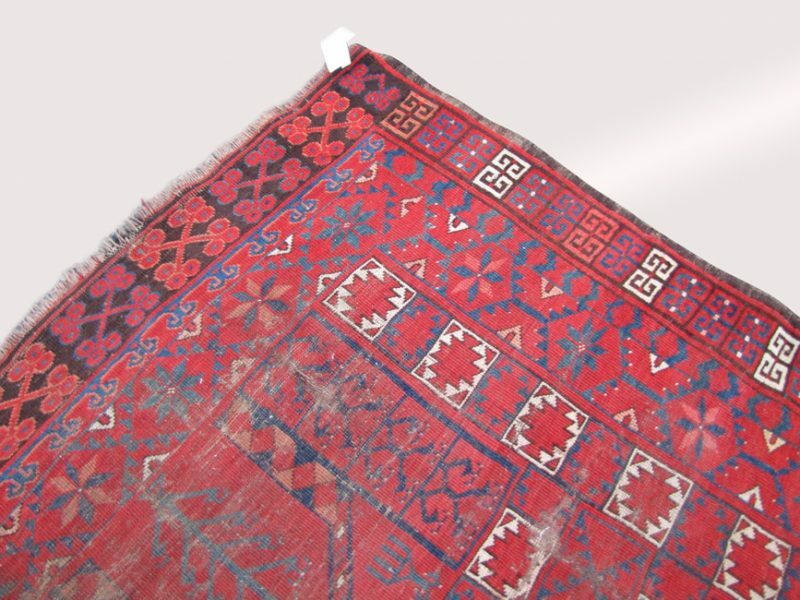 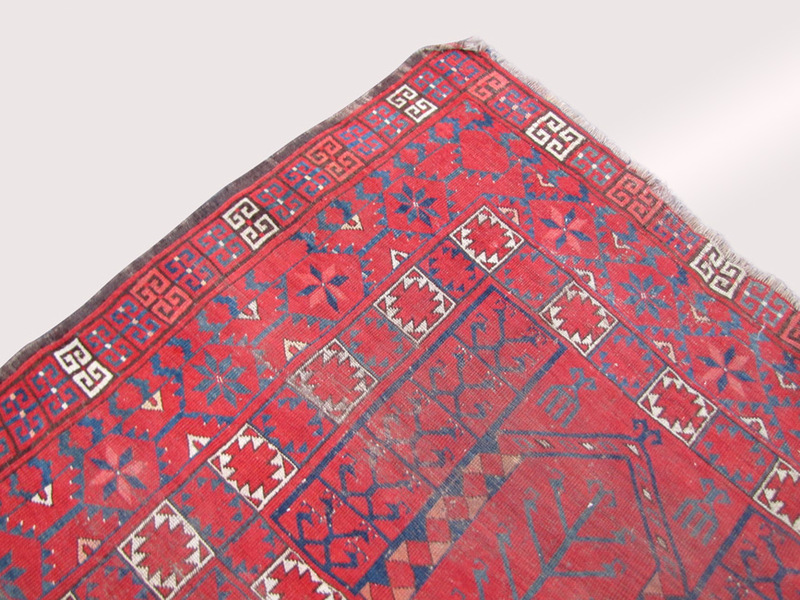 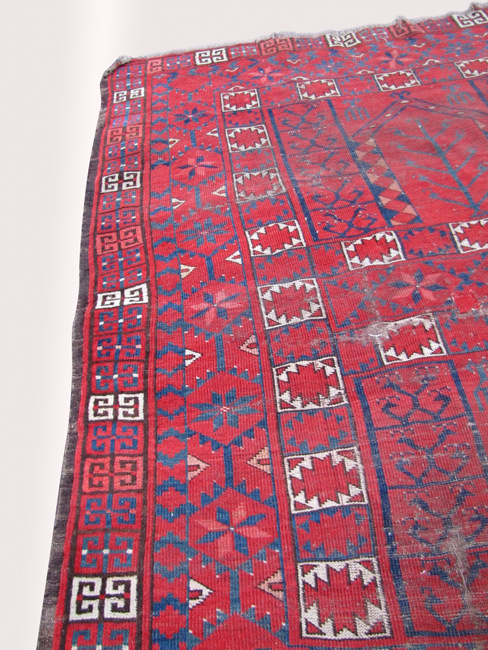 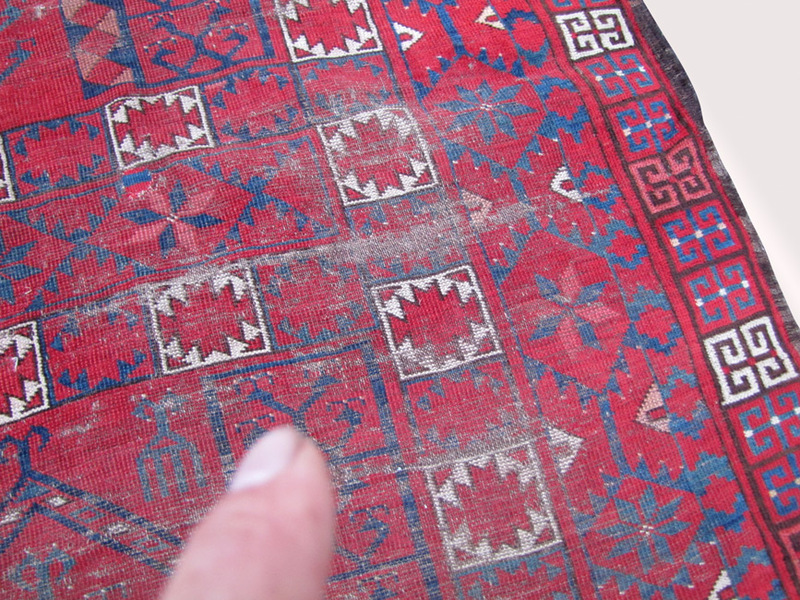 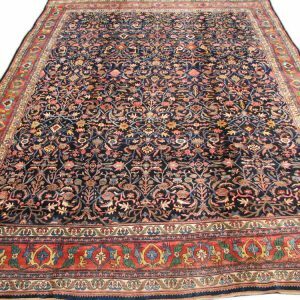 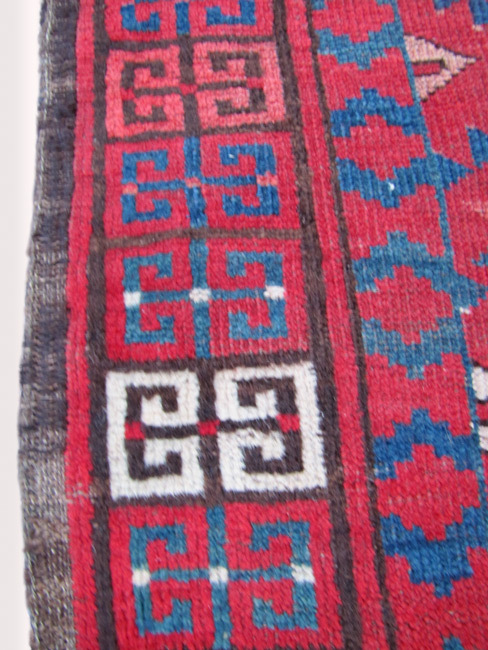 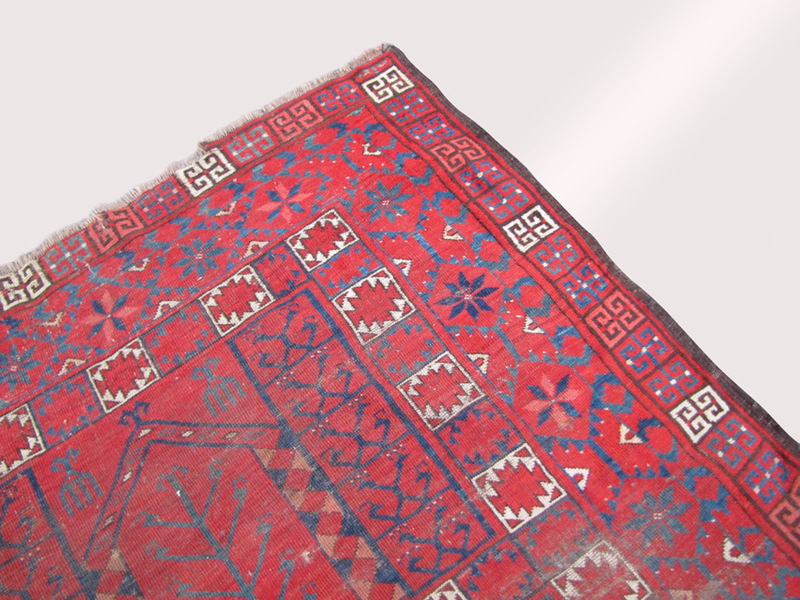 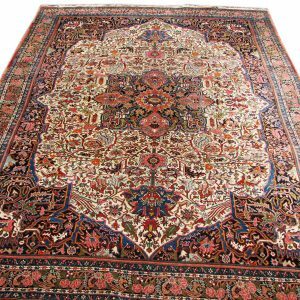 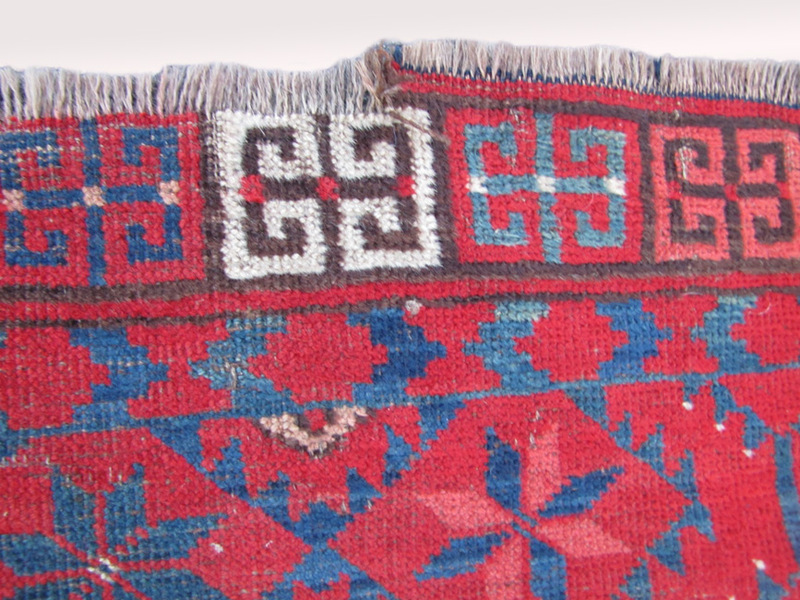 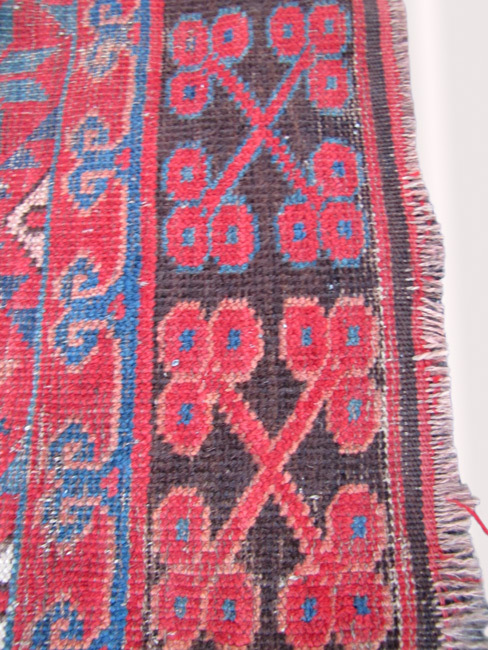 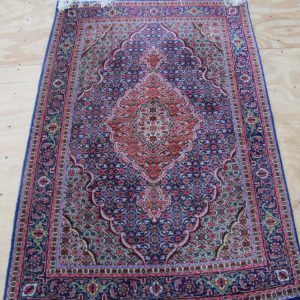 The background of the rug is red with the other colors being ivory, blue, and brown.